The U.S. Military spares no expense when the opportunity to learn from real world environments in controlled, predictable, repeatable, and experimental ways. With a budget that dwarfs healthcare simulation, the consistent end result for ROI on training is always, consistently, 100%: simulate. It should be no surprise then, that the U.S. Navy has their own “ocean”. Originally built in 1962, MASK is supported by over 3,600 scientists, engineers, and technicians the space was upgraded in 2013 with finger-like technologies to better mimic water conditions. At 240 feet wide, 360 feet long, the Naval Surface Warfare Center at Carderock holds over twelve million gallons of water. This is the MASK, ie the Maneuvering And SeaKeeping basin. 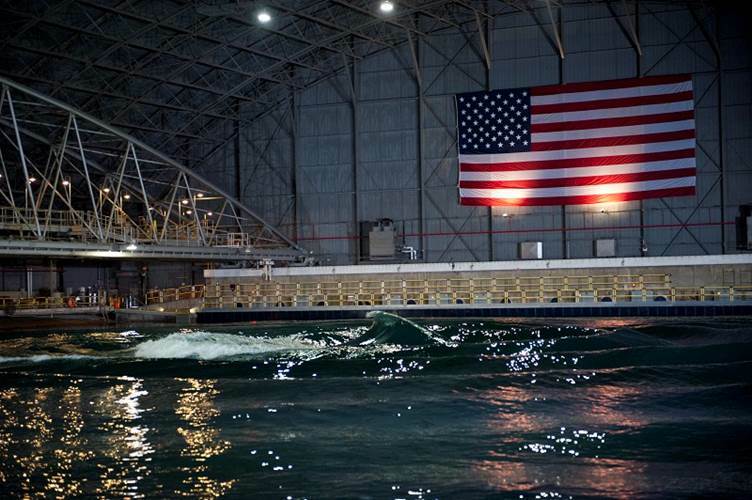 It is one of the largest indoor oceans in the world, making the MASK the most advanced test facility of its kind. So why does the Navy need an indoor ocean? The truth lies in these dimly-lit, somewhat mysterious waters. Testing engineering designs above and below water puts theory into practice, with hundreds of different sea conditions from shore to deep ocean, calm to chaotic. Everything possible is here, and the Navy relies on it. 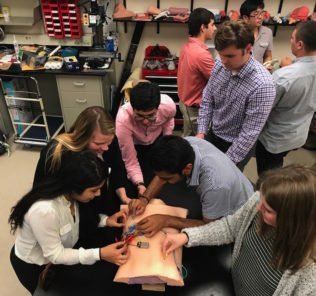 Why does healthcare still challenge simulation? Who would get on a plane with pilots who have never simulated before? Why can’t we learn from institutions that have the biggest budgets and the highest standards? When will we learn? Confusing as it all is, we are the champions that must keep going.